annual tasting | WINE O'CLOCK The day gets off to a flying start with bottles popping, laughter and chatter scattering around the building as our customers get the wonderful experience to taste wines poured by winery owners, winemakers, grape growers and wine experts, who have such a love and passion for what they do its really heart-warming to see. 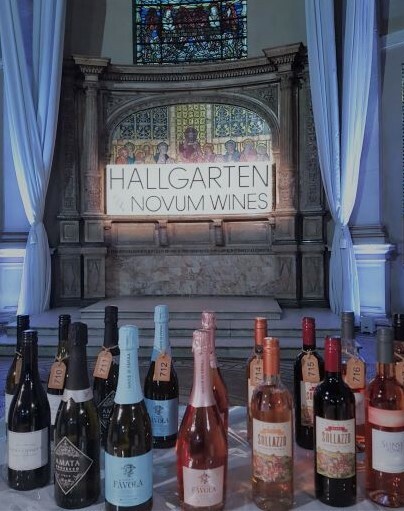 Charli Truelove, Hallgarten Marketing Coordinator, was at the forefront of annual tasting logistics when we took to One Marylebone for the first time this year. Below she provides her perspective on what it is like from the other side of the tasting glass. Out of curiosity, I had a sneak peak of the venue on Google street maps before arriving, but was not expecting it to have quite this impact! 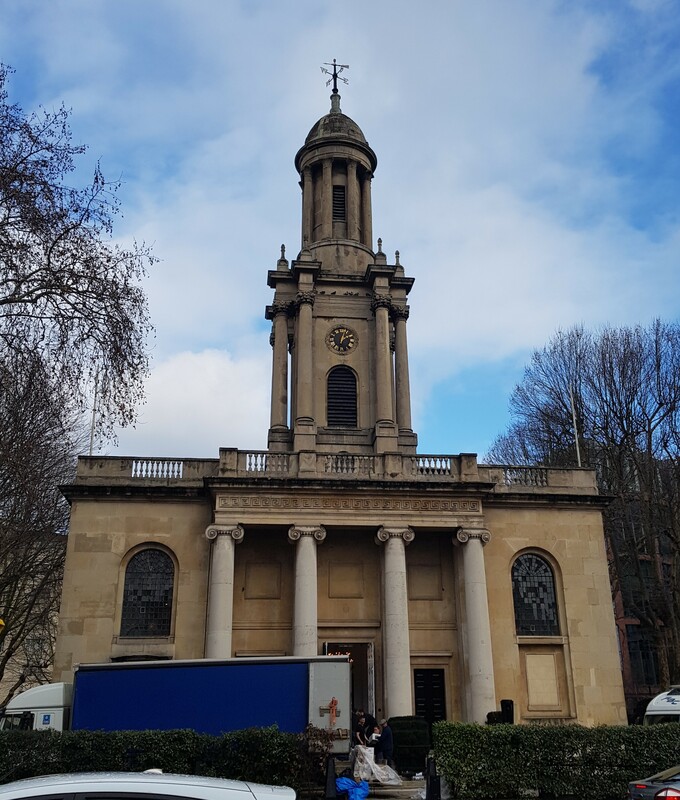 The Grade 1 listed ex-church built, in 1826 is absolutely stunning. Pumped and ready to start the work ahead (unboxing, carrying, lining-up wines and generally making everything looked shipshape) I am even more bowled over as I step inside; up the stone steps through the impressive doorway into the beautiful wooden herringbone floored, stained glass magnificent venue. The main task at hand on the Sunday was to simply make sure everything was in place for the two day tasting ahead. Wines numbered and on the table, boxes away, point of sale and signs in place, tasting books primed, pencils sharpened, all set up and ready to go. On the morning of the first day of the tasting it is my responsibility to direct our suppliers to their designated table and it’s a pleasure to see the excitement on their faces as they walk into the venue and experience the new set-up for the first time. As the tasting gets underway, by 11:30 I can’t help but notice a queue forming to get inside – ‘this is going to be a busy one!’. The day gets off to a flying start; corks were popping, laughter and chatter filled the building. No matter who you are in the trade, it is always a wonderful experience to taste wines poured by winery owners, winemakers, grape growers and wine experts, who embody the wines and it is clear to see the love and passion they have for what they do. This year, the organising team decided to take our even catering to a whole new level – street level. KERB is one of London’s leading street food organisations, whose sole goal is to make events taste better. We welcomed three different and exciting street food vendors, paired with wines from the tasting, to park up and serve their culinary delights to our guests. My favourite was the Pregos – how can you argue with a steak sandwich on a Monday? The new venue, new wines and new producers seems to be going down well with suppliers and guests alike. As I walk around taking photos and making sure everyone has all they need there is a positive buzz that fills the room, everybody is learning, pouring, tasting and generally getting excited about the wines and suppliers on show. All in all a very successful annual tasting and my favourite venue so far. After three days, and almost 30,000 steps on my pedometer, I can’t wait to get planning next year’s! 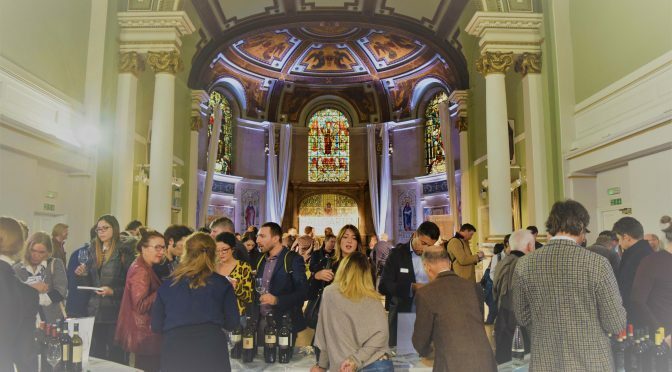 In beautiful downtown Luton our thoughts are turning to our annual tastings at the end of January and the introduction of new wineries to our list – and we have an absolutely beauty on the way. Zorzal is a boutique Argentine winery founded in 2008 by the renowned Michelini brothers, definitely one of the most passionate winemaking families in this land of passion. We’ve been seeking to get a piece of their action for some time now, so this is cracking news. Winemaker Juan Pablo Michelini, a kind of new generation “can-do” iconoclast, will be attending our tastings and I know our customers will love his zeal and fervour. Juan Pablo’s philosophy is grounded in an absolute respect for terroir. His is a non-invasive winemaking philosophy that seeks purity of fruit before power. These are fantastically individual wines with a quite amazing minerality running through them (the notion of salted caramel keeps recurring every time I taste them). They are in Gualtallary, 1,350 metres above sea level at the foot of the Tupungato volcano, on calcareous soil, with stones streaked with chalk – which may partly account for that minerality. A combination of altitude and desert climate make it an ideal place to cultivate grapes of exceptional quality. The winery has the lot – state-of-the-art technology in crushing, fermentation and ageing. It was designed on four levels to move grapes and wines by gravity. It has an automatic system of temperature control from New Zealand, which can be operated via the internet from anywhere in the world. Juan Pablo and his brother Matias believe in roll fermenters and egg-shaped vats, as well as staggered harvesting and micro-vinification in casks. We are concentrating on the Eggo range. As the name suggests, these are wines vinified in eggs made of cement. Look out for a flinty Sauvignon Blanc, a gunpowder and graphite Pinot Noir, a piercing Bonarda, an herbaceous Cabernet Franc and an absurdly fresh Malbec. All this is very well, but another Argentine producer on our list? Yes, I know. But, listen, trust me, these really are individual wines. Juan Pablo’s desire to stress maximum terroir means these wines are very different to the sometimes more power-driven Argentine offerings. It’s that minerality thing. It’s funny how these things pan out, but a week or so ago I opened a bottle of the Malbec and drank it while reading Angels With Dirty Faces, Jonathan Wilson’s brilliant new history of Argentine football, which I’d been given as a Christmas present. It got me thinking: who would be the footballing equivalent of a Michelini? A bit daft, really, I thought, but the Malbec was beginning to work its magic. So, who was it to be? Maradona? Obvious, but, crikey, he comes with a lot of baggage. Messi? Another salient choice. But you could argue that, for all his dribbling brilliance, Messi hasn’t changed the way the game is played. So I rifled through the pages some more. And then it hit me. From another era, the man described by Sir Bobby Charlton as the greatest he’s ever seen: Alfredo di Stefano. Of course! He did change the way the game was played, as the fulcrum of the great Real Madrid team which forever transformed the face of football. But I wanted further proof – and I got it, via the daily motion website. So here is a mighty suggestion from the portfolio director bloke: open your own bottle of Zorzal, click on this link and watch di Stefano’s destruction of Eintracht Frankfurt in the 1960 European Cup Final. Take a sip and watch. There we go – see di Stefano’s delicious shimmy at 12:14 – was that the Sauvignon Blanc moment? Then comes his first goal at 21:34 – he starts the move in his own half, then is on the end of a cross to turn it in at the far post – the famous still picture of him balletically falling backwards in the art of scoring was to be reproduced all over the world – this is a Bonarda moment, I feel. Blink and you’ll miss it as he pounces like a cheetah! at 24:00 and scores his second goal – that would be the Cabernet Franc. And then watch his double step-over at 35:44, taking him past two clogging Frankfurters – yup, that’s the Pinot Noir moment. Finally – at 1:06 – that goal, the 40-yard sprint followed by a thunderous shot past the hapless Frankfurtonian keeper into the bottom left hand corner: definitely the Malbec moment. I watched all night, God, what a player. No doubt about it, Wilson’s book and the grainy black and white video, they are both life-affirming. But not as life-affirming as the bottle of Malbec. Definitely not as much. A week or so later, typing this account, I am more convinced than ever that this is an outstanding addition to our already brilliant line-up comprising Andeluna, Doña Paula, Matias Riccitelli and Piattelli. Our Argentine list is now arguably the most comprehensive in the country – in fact some people (the stock controller, for instance) would say that it’s a bit bonkers. But, you know, sometimes when you are faced with something this good, you need to stand up, be counted and bet like men! 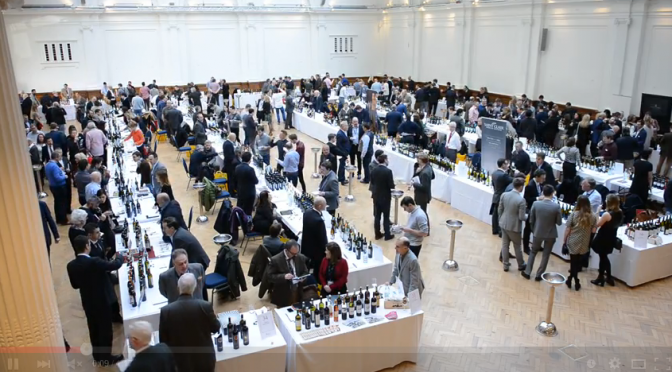 At last week’s Annual Tasting in Westminster our intrepid cameraman turned his hand to video and created a handful of short videos of the event. 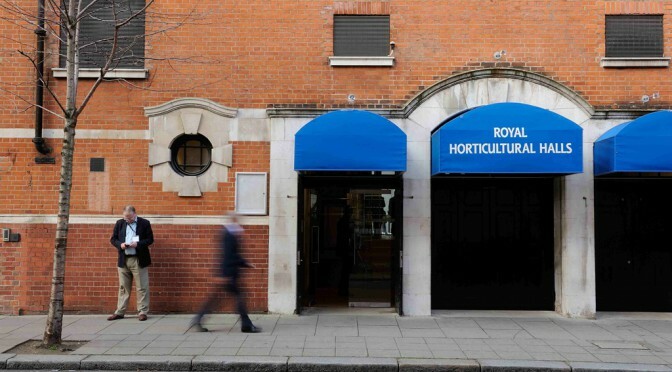 Last week the Hallgarten Annual Tasting took place at London’s Royal Horticultural Halls. 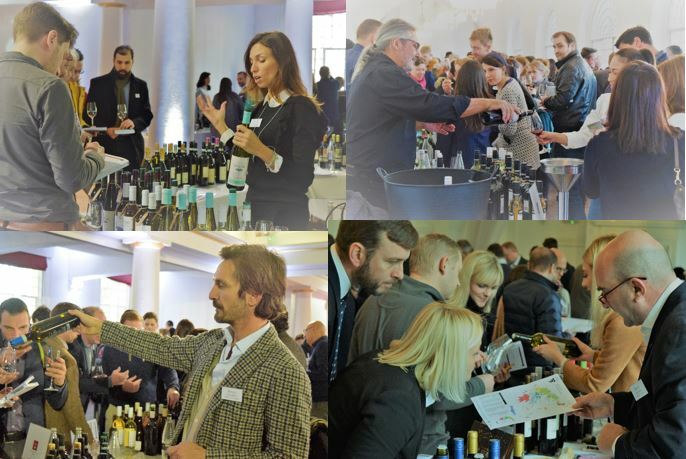 It was a busy and buzzing event with more than 700 wines under one roof and hundreds of attendees each day. 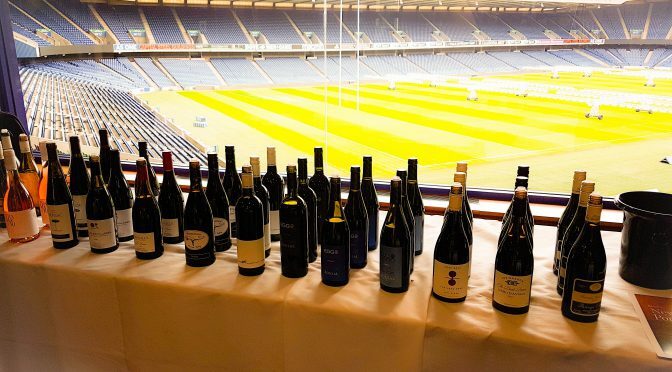 Take a look back at the tasting via the gallery below.